Critical Mass Radio Show: Interview on Will Robots Pay Back? From self-driving cars to automatic machines, technology is taking over much of society. But should robots be viewed as the ultimatum? 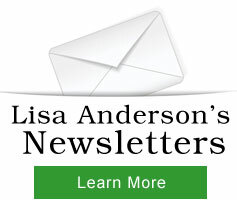 Lisa Anderson, author of Will Robots Pay Back? joins us to share her perspective. Use controls below to listen. In this radio talk show interview, Lisa Anderson talks about what is important to manufacturing and supply chain, how best practices can add value regardless of size and shares tips, ideas and strategies for manufacturing success. In this radio talk show interview, Lisa Anderson talks about how manufacturing is gaining momentum in the U.S., how APICS Inland Empire supports the supply chain community and how we can get students interested in engaged in manufacturing careers. In this radio talk show interview, Lisa Anderson provides tips and techniques on how to leverage people and processes to achieve the best business results and in preparation for the “new normal” business environment. 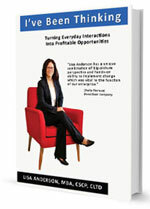 Financial Times’ ExecSense webinars & Business 21 Publishing Webinars: Lisa led several webinars on the following topics. If you’d like access, please contact us.